This Saturday is July 11th — 7/11 — or the day each year when we celebrate sweet, sugary brain freeze with FREE Slurpees at 7-Eleven. 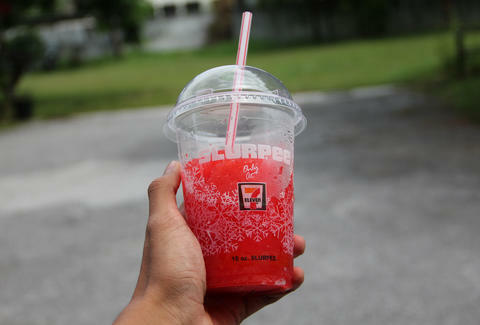 Walk into any participating 7-Eleven in the US and you’ll slurp away with any small Slurpee for free. We all know it as Free Slurpee Day, but it’s actually a celebration of 7-Eleven’s birthday and this year the numerical convenience chain is marking 88 years. In addition to crippling our nation with brain freeze and sugar highs on Saturday, Sev’s is also offering even more freebies to members of its 7Rewards program. From Sunday, July 12th to Saturday, July 18th, members will get up to $2 in free food or drink if they also purchase a 7-Eleven beverage like a Slurpee, coffee, or Big Gulp, according to a report by Time. So, um, get in line now? Tony Merevick is Cities News Editor at Thrillist and mmmmmmmmm, brain freeze. Send news tips to news@thrillist.com and follow him on Twitter @tonymerevick.